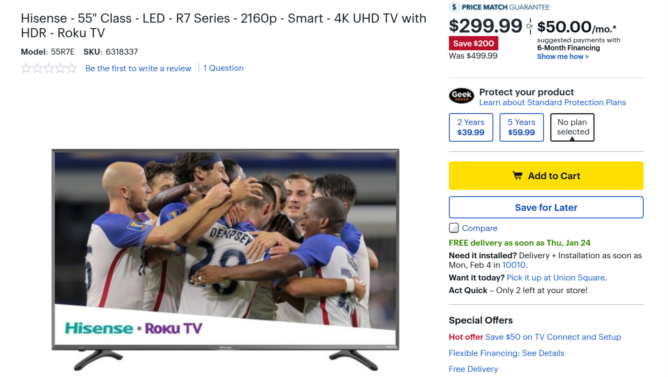 Holy cow, 4K TVs are getting cheap. Over the weekend, we spotted a 43-inch 4K Fire TV at Best Buy for $200. 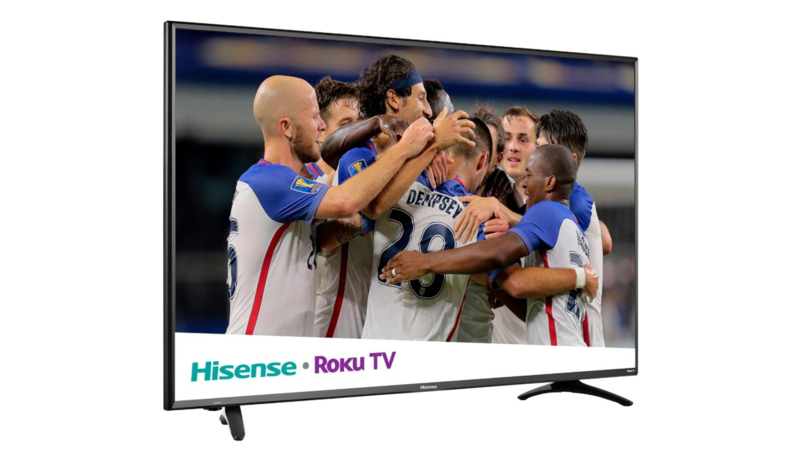 The retailer is back at it: right now, you can pick up a 55-inch 4K Hisense TV with Roku built in for a double-take-inspiring $300. Hisense isn't quite up there with Samsung and LG when it comes to smart TVs, but its products provide excellent value for the money and receive predominantly positive consumer reviews. 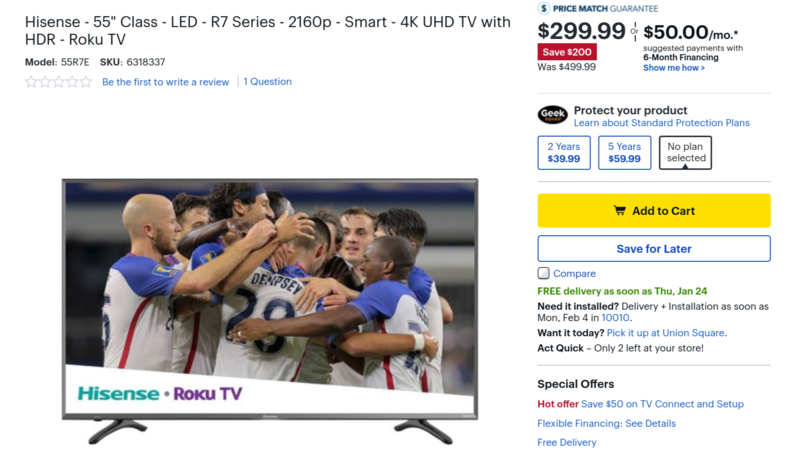 This particular 55-incher has a 4K screen that's HDR compatible, and Roku is one of the better options for built-in software suites. It's got three HDMI ports, so you can hook up all your games and stuff. At $300, this set is 40 percent off. You'd be hard pressed to find more TV for the money. Hit up Best Buy to check it out.